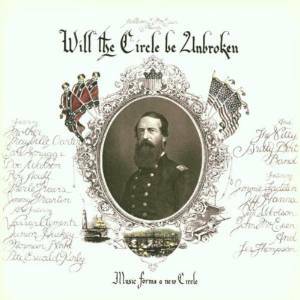 The follow up to Will The Circle Be Unbroken Vol 2 was always going to be a challenge. The band kept Randy Scruggs, who had overseen the Circle II sessions on hand as their producer for 1990’s The Rest Of The Dream, but did not attempt to copy that album at all. Instead it is a solid return to the country-rock which had done so well for them in the 1980s. Unfortunately they may have lost momentum with their focus on the less overtly commercial Circle II, while country radio was being engulfed with fresh new faces and the move to a more traditional sound. Sadly, they were never again to enjoy a top 40 country hit. The lead single was a cover of rock star Bruce Springsteen’s ‘From Small Things (Big Things One Day Come)’. A dramatic story song about a young girl who elopes with first one man and then another, then shoots her second lover, while the abandoned husband awaits her release from prison, it is delivered in upbeat fashion. It sounds very radio friendly (and convinces as a country-sock song), but peaked at a very disappointing #65. The pleasant but forgettable ballad ‘You Made Life Good Again’ didn’t do much better. This might have been a more successful single, as might aacouple of other tracks. 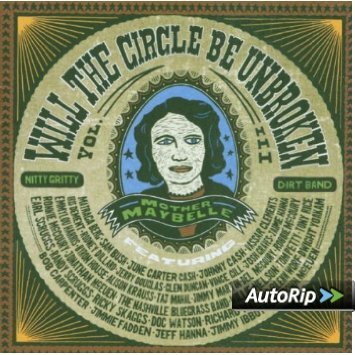 The gentle ballad ‘Waitin’ On A Dark Eyed Gal’, written by Ron Davies (brother of Gail), is an excellent tune, about holding on to forlorn hope and defying the reality that the narrator has been stood up. It is sensitively sung by Jeff Hanna, and beautifully played by the band. This lovely song is my favourite track. Hillbilly Hollywood (covered by John Anderson a year or so later on his comeback Seminole Wind album) is about the draw of Nashville for a young musician, which was written by Vince Melamed and Jim Photoglo. I prefer Anderson’s version, but this one is decent. Jimmy Ibbotson co-wrote ‘Junior’s Grill, a tribute to a favorite diner which would be a great commercial jingle but is a little dull as a song. All four current band members (Hanna, Ibbotson, Fadden and Bob Carpenter) cowrote ‘Wishing Well’, but the song is disappointingly bland. Overall, though, this is worth picking up –especially as used copies can be found cheaply. 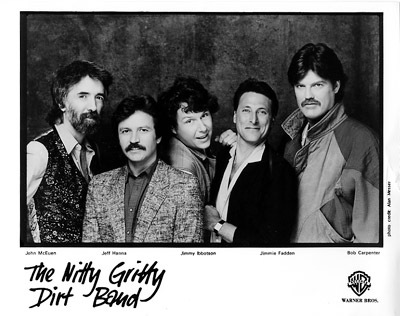 In 1982, The Dirt Band, as they were then known, reverted back to their former name and moved toward a more mainstream country sound. They scored their first Top 10 country hit in 1983 with “Dance Little Jean”. A year and a label change later, they solidfied their reputation as a mainstream country band with all of their singles through the end of the decade reaching the Top 10. 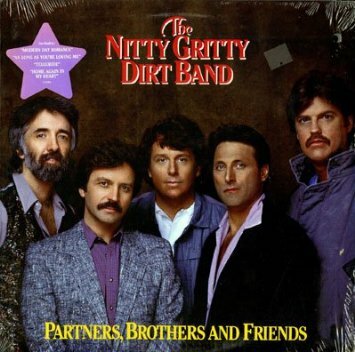 Plain Dirt Fashion was the band’s first album for Warner Bros., and in the summer of 1984, the song from which the album’s title was derived became the first of their three number one country hits. Written by Rodney Crowell, “Long Hard Road (The Sharecropper’s Dream)” is a nostalgic look back at an impovershed but happy childhood and my favorite Nitty Gritty Dirt Band single. With tight harmonies and plenty of fiddle, it is one of their most traditional efforts, foreshadowing the upcoming New Traditionalist movement which would take off in earnest about a year later. It was followed by the upbeat “I Love Only You”, written by Dave Loggins and Don Schlitz, which reached #3. “High Horse”, penned by Dirt Band member Jimmy Ibbotson, became the album’s third single. It peaked at #2 in early 1985. All three singles were tailor-made for country radio without any of the rock elements that had been the hallmark of much of the band’s earlier work. Two album cuts, however, are covers of old rock-and-roll hits — Bruce Springsteen’s “Cadillac Ranch and Meat Loaf’s “Two Out Of Three Ain’t Bad”, neither of which is particularly memorable. In general, while the singles are timeless and have managed to avoid sounding dated, the album cuts haven’t aged as well, mainly due to the somewhat heavy-handed — and typical of the era — use of the drum machine, which mars “Cadillac Ranch”, “Run With Me” and “‘Til The Fire’s Burned Out”. “Video Tape”, the album’s closing track, gives away the album’s age by its reference to a now-obsolete medium. It asks, “wouldn’t you be in good shape if your life was on video tape?” a question that would never be asked in the era of iPhones and social media when so many have regretted having their actions recorded. The one truly great non-single cut is “The Face On The Cutting Room Floor”, about a has-been (or more accurately, never-was) actress who fails to make it in Hollywood after refusing to sleep her way to the top. The tune was written by Steve Goodman with band members Jeff Hanna and Jimmy Ibbotson. In addition to the band members themselves, the album credits list some marquee names as additonal musicians, with Steve Gibson, Mark O’Connor, and Ricky Skaggs all lending their talents to the project. Although it occasionally shows its age, Plain Dirt Fashion is still an enjoyable album and worth a listen if you haven’t already heard it. 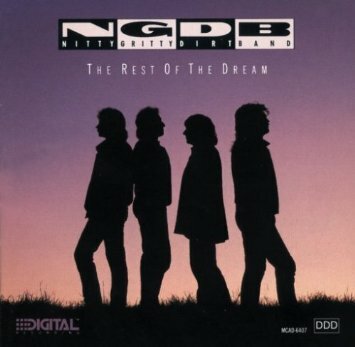 It is available for download or on a 2-for-1 CD with the band’s next project Partners, Brothers and Friends.